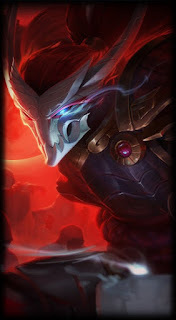 "Their final moments approach." 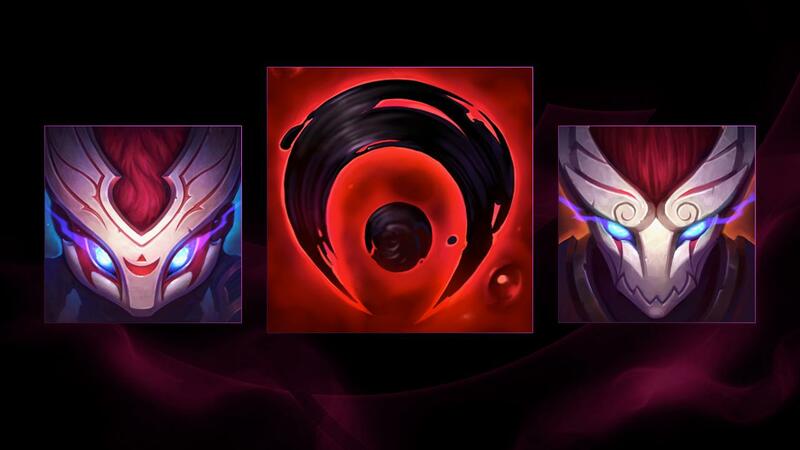 Blood Moon Kennen, Blood Moon Yasuo, and a trio of new Blood Moon themed summoner icons are now available for purchase! Red. Everything had been so red. 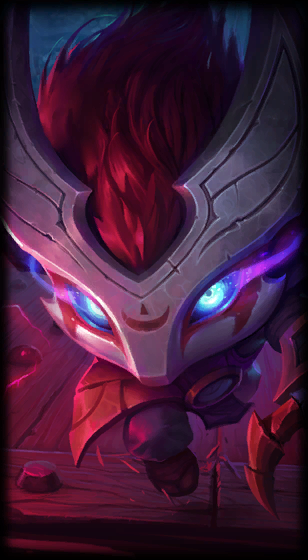 And in the center of the bloodbath, the masked warriors had danced, eyes aglow with murderous intent. Good night, their eyes had whispered. Her companions crowded around her, worried. Behind them, the fire burned low. Above them, thick clouds suffocated the sky. They returned to their slumber, and she sighed, still shaken. “It was only a dream,” she repeated. A sudden wind shook the trees around the site. She shivered, closing her eyes and wishing for morning. As the clouds parted above, red moonlight bloodied the ground. 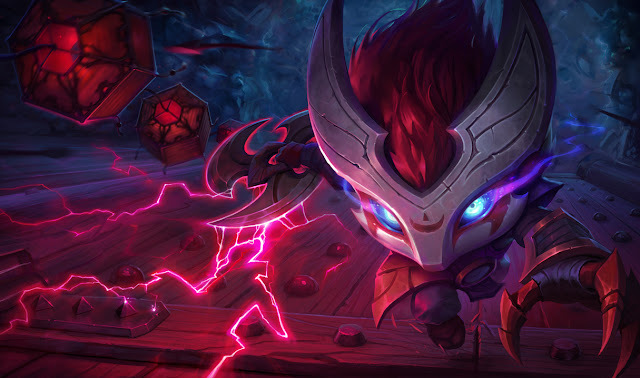 Slay them all with Blood Moon Yasuo and Blood Moon Kennen, now available in the League store for 975 RP. 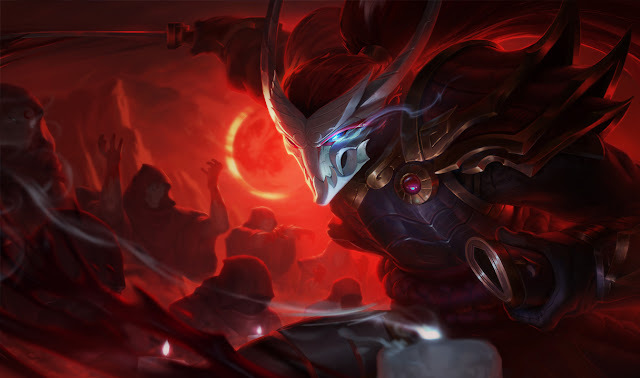 Transfer to the Japan server by March 15 at 6:59 a.m. PST (23:59 p.m. JST), and get Blood Moon Yasuo for free. 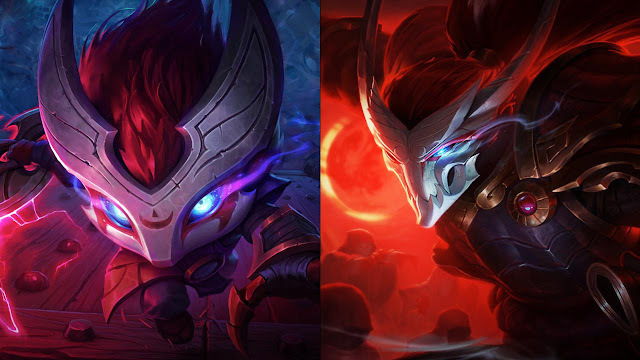 Blood Moon Kennen, Blood Moon Yasuo, and the Blood Seal!